How to Lose Body Fat Fast in 30 days - Day 3 - Exciting Progress! This has been an exciting day. I am on day 3 of a 30 day plan of test driving Hashi Mashi for fat loss and body transformation. I have gone into this program with an open mind ready to make a change. I know that if I keep living the lifestyle I have done up until now, I will stay with the same body shape and weight that I am at right now, if not more, and I want to make a change. I am done with the tight fitting pants and shirts and I want to look good for my wife and family. So on Thursday April 17, I started with the program. You can see both of those days, the April 17th first day of how to lose body fat fast in 30 days here, and the April 18th how to lose body fat fast in 30 days – day 2 over here. Today is Day 3 and I am already down 6 pounds! Today I am down to 192.3 pounds from 197.9 on thursday. I cannot believe that I am down 5 pounds in not even 3 days. 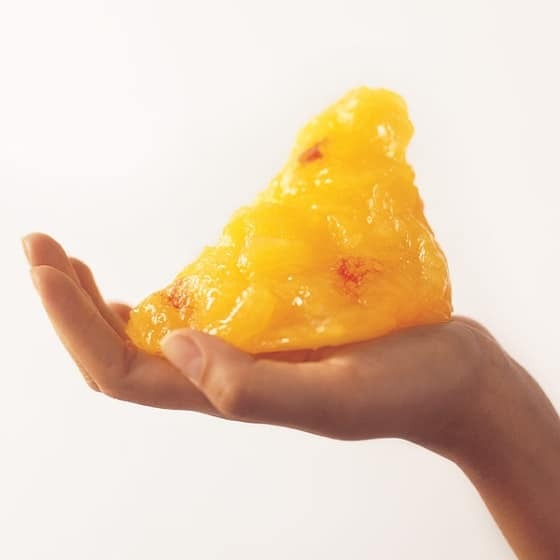 How to Lose Body Fat Fast – A Pound of Fat, Imagine the size of 5 pounds of fat! What is even more shocking is that last night, I had dinner with my wife and family as on most friday evenings. The only thing that I changed up was that as per Hashi Mashi, I did not have bread, pasta, rice or potatoes, not even crackers, basically no grains. A piping hot bowl of chicken soup with vegetables. A plate full of broccoli, diced up salad and cooked eggplant with roasted chicken breast. And I was able to resist the Apple Pie which was at the table for dessert. In the morning and afternoon, I had a hard boiled egg, an avocado, some brazil nuts, a whole pint of blueberries, half a pint of strawberries and a handful of pistachios. I was pretty hungry by dinner, but did feel better than usual. I almost had it, but my wife said to me that she already can see a difference in my face and body in only these 2 days and that I should keep going and not give in to the temptation. Even though Hashi Mashi has said that it is okay to have a treat one or two meals max a week, I just started and I do not want to get side tracked. Instead of the apple pie, I had a medjool date with some walnuts. That satisfied my sweet tooth. I also got to the gym as suggested for a brief workout, just doing air squats, meaning squats without using weights as well as pushups. I am not able to do many, I did 4 with good form and I did 5 squats, that was enough for me! Today on day 3, I wake up 5.6 pounds down from thursday. That is motivating to me. I also went to sleep last night at 10:30pm which is much earlier than my usual time of midnight to 1 am. Hashi Mashi advised me that the longer high quality sleep I get will help me to build muscle and lose fat, so I did my best to get to bed at that hour and woke up feeling refreshed. What is my plan for today? Lunch vegetable soup with chicken breast. Dinner some other vegetable with fish or turkey or just the vegetables. I am going for Plant Power! If I am craving any sweets, I am going to have either strawberries, blueberries, and/or a date and walnuts.